Google has been preaching about the value of speedy loading times for a few years now. Google offers products like Pagespeed to check the loading time of your pages and also allows you to track loading times with Google Analytics. Unfortunately, the need for speed wasn't part of the programming of the Google Plus One button. Every time you loaded a page with a +One button on it, the button was always one the last items to load. Luckily Google now practises what it preaches. In the past we have made a bunch of tweaks to existing plugins and components. We did this because we wanted to track their effectiveness in Google Analytics. Just have a look at our previous blogposts about tracking the standard Joomla contact form with Google Analytics, or our instruction to track comments in Jcomments. One of our favorite Joomla extensions is next: Joomla Tags. We use it on our website to add tags to link to related posts. We believe an update was required to add some social media buttons. We also wanted to add Google Analytics event tracking to track the clicks on the tags. Google Analytics has just announced a new set of reports (and functionality) that will enable websites to track social interaction with their content. 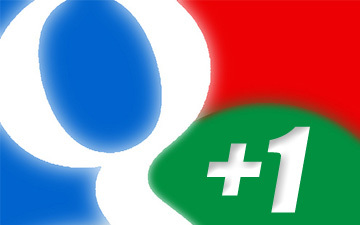 This comes as a welcomed addition to the new Google+1 button, as it now enables one to measure the impact of social interactions in and outside websites. Google Analytics social engagement tracking compares the impact of different types of social actions on your website. It not only tracks +1s, but it also tracks Twitter tweets, Facebook Likes, Facebook Sends and other social actions.